According to the Obama Administration, the attackers simply needed jobs. Reuters—Machete-wielding assailants hacked to death a blogger in the Bangladeshi capital of Dhaka, in the latest of a series of attacks on writers who support free thinking values in the Muslim-majority nation. The attack comes amidst a crackdown on hardline Islamist groups, which have increased activities in recent years in the South Asian nation. 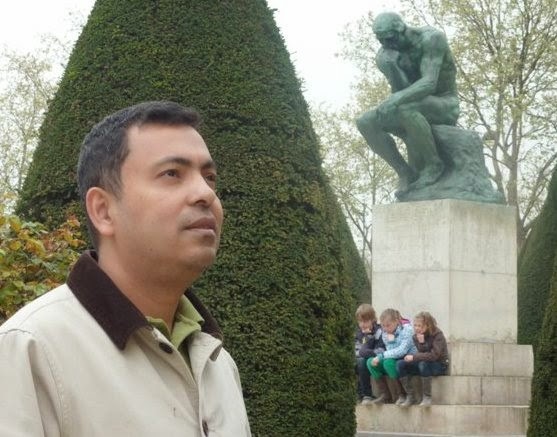 Avijit Roy, a U.S. citizen of Bangladeshi origin, and his wife and fellow blogger, Rafida Ahmed, were attacked on Thursday while returning from a book fair. Ahmed was seriously injured. Police retrieved two machetes from the site, but have not yet identified any suspects. They said they were investigating the involvement of Ansarullah Bangla Team, an Islamist extremist group based in Bangladesh that claimed responsibility on Friday for the murder. Your posts serve not only to make people aware of the deadly lies of Islam, but they also provide us with information that is helpful as we pray and intercede for this world. I will be praying for the family of Avijit Roy and for his wife's physical and spiritual recovery. I sincerely appreciate that you post these articles that highlight the fact that the threat of Islam is not removed by removing God. It is for people such as this, those without the Lord, that we are ultimately fighting as persecution and even death cannot overcome God's kids, so thank you again for posting about them.